Push-ups are a fantastic exercise. However, like most body weight exercises, you run into a problem – you are working with your body, which is a fixed weight. As a result, many people abandon push-ups as they get stronger and miss the tremendous benefits this exercise has to offer. However, this does not have to be the case. Here are six effective ways to load push-ups so you can continue to use this fantastic exercise to build upper body size, strength, and performance. 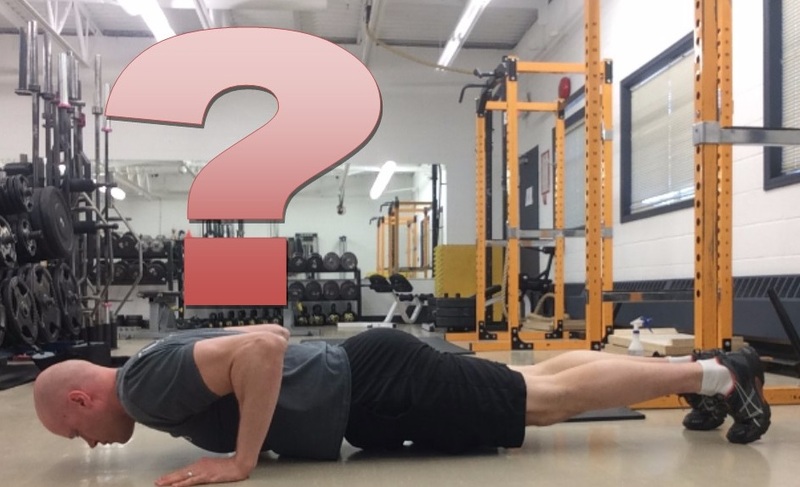 First things first: Why should you bother trying to load push-ups? Your shoulder blades can move freely. This creates a natural scapulohumeral rhythm. This places less stress on your shoulders and is more natural than having your shoulder blades pinned as you do in a bench press. Because of this movement, you will also train your serratus anterior. This is great for shoulder health and developing it looks really cool if you are lean. But why not just rep out with body weight? Well, it depends on your goals. If you are training endurance, then yes, this would work. If you are training for strength, then no it won't work (unless you can currently do around 5 or less reps. If you goal is muscle mass, this is defiantly an option. For example, you could go heavy with bench press and/or dip variations and then later that worokout or later in the week, just rep out on push-ups with your body weight. If you are strong, you may think this is pure endurance training. Generally, I would agree with you. However, an October 2015 study published in the Journal of Strength & Conditioning Research showed that even in well-trained subjects, you can build muscle in the 25-35 rep range. Therefore, it is worth experimenting with to see if it works for you! Personally, I always get smaller and weaker when I do high rep work, so I tend to keep my reps fairly low. The best way for YOU to load your push-ups depends on several factors. Here are 6 methods with the pros and cons of each. This is where most people start. It is fast and easy when you just have one plate. The downside is that you are limited to standard plate loads (2.5, 5, 10, then you jump to 25, 35, 45, now what???). In addition, multiple plates slide around unless you have someone holding them in place. Compared with option 1, this is a huge step forward. Now the weight is attached to your body and evenly distributed front and back. This is one of the most comfortable ways to load push-ups. Note that the quality of vests can differ making them more or less comfortable. In addition, you want a vest with lots of loading options. I got some years ago that go from 1-84 pounds in 1-pound increments. They take a lot of time to adjust. This is not a big deal if you train at home, as you can just gradually add a bit of weight as you go. 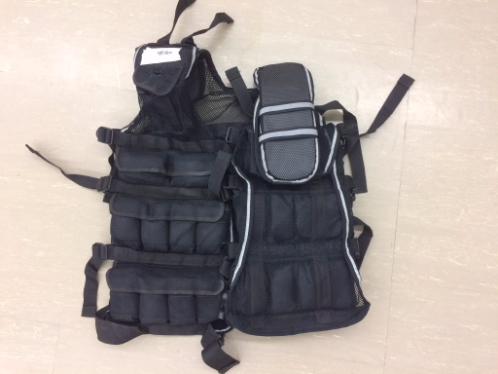 However, if others are using the vest, it will cost you a lot of training time to set your load. They are awkward to get on and off. This will take extra time and energy away from your training. Limited weight: most vests only go up to about 40-50lbs. I got some for our athletes that go up to 84lbs, but this still is not enough for some strong folks. This was an earlier loading strategy that I tried. The good thing about this is that virtually every gym has a dip belt. Also, if you had to buy your own, they are only about $30. Another benefit with this method is that since the weight is lower down your body, it really taxes your core stability. Having the dip belt allows you to add virtually as much weight as you need and do it in very small increments. The downside with this method is that with the weight hanging below, you need to elevate your hands and feet to make room for the weight. 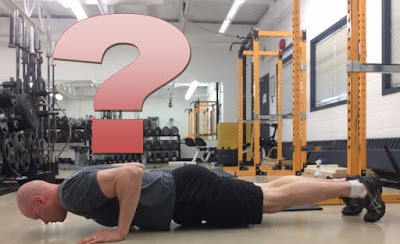 The other problem with this method is that dip belt tends to slide down your body during the set (especially if you have more of a “V” shaped upper body). This can be offset by keeping the feet a little higher than the hands. Another option I came up with was to make a chain vest. This requires a small investment and trip to your local hardware store to get 5 chains (about 1 foot each – depending on your size) and 2 carabineers. 4 chains go into making a weight vest and the 5th allows you to attach plates or dumbbells to the vest. This set-up is fast and easy to slip in on and off your torso. In addition, it is fast and easy to attach the weights and get them off to rest between sets. Also, unless you are alternating push-ups with prone DB rows, you can leave the vest part on between sets and just remove the weights. This method will require a small amount of time and money to set up. Also, as the weight gets heavier, you may find you don’t like the chains digging into you. If you have this problem, try a sweatshirt or a towel. In addition, depending on your grip width, having the weights in this position can get in the way. With this option, you simply crisscross heavy chains over your back. The best thing about this option is you look really, really cool. This creates a wonderful Instagram opportunity! Do you really need any more reasons? If so, here are a few more. Chains are fast and easy to take on and off between sets. I also like that the chains seem to stay out of the way of my hands. 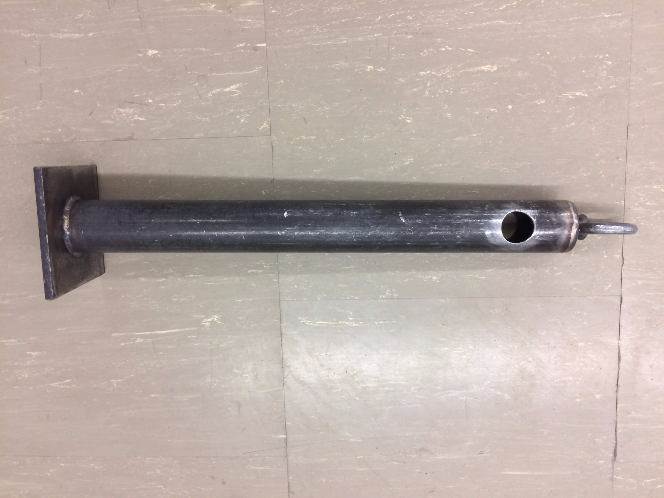 If you go from the ground, the chains will de-load a bit at the bottom thus giving you accommodating resistance (and possibly a headache from the noise). However, you can also do them by elevating your hands and feet like I do in this video. The downside with this method is it requires heavy chains. If you gym does not have them or you don’t train at home, that’s a problem. In addition, they can be quite noisy. If you don’t have big chains, you can also add weight to smaller chains. These would be easier to carry with you to your gym. Note: this can also be used for swings (note the hole where a small bar for a handle can go), and attached to a cable stack if you have a homemade cable stack. Now you simply load the desired amount of plates on the peg, place a towel on the back for comfort and away you go. The main downside to this method is that it requires a training partner or coach to put the weight stack on your back, keep it steady and take it off your back when you are done (or when your training partner decides you have had enough). If you train at home and have kids, you have another fast, easy loading option. Also, because you kids are constantly growing, you know the progressive overload issue is taken care of. I'm also blessed to have four children. This provides me with four loading options and works well for drop sets or back-off sets. One final option is to work with 1-arm push-ups. While the progressions for this are a whole other post, here is one simple way to get started with 1-arm push-ups. As always, I welcome your comments and questions below. If you try some of these out, please let me know how they go. Hey Andrew, cool post, I have been experiencing shoulder pain with bench press lately and have decided to use dips and pushups for chest but have fun into the problem of not enough weight. Could you by chance give some examples of your favorite chest vs triceps pushup variations. Thanks Jesse - great question! For chest, go wider hand position with the elbows out (note: don't go so wide that it hurts your shoulders). You can also focus on trying to squeezing your hands together while doing the push-up (note: they won't move but the intent will help active your pecs). For triceps, keep hands about shoulder wideth and your elbows tucked in by your sides. Focus on trying to spread your hands apart as you push-up (again, they won't move but the intent will increase triceps recruitment).